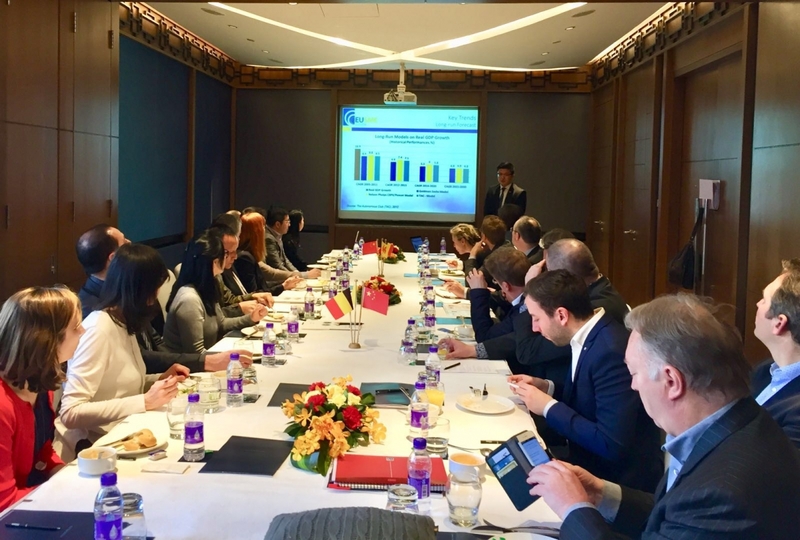 On March 29 in Beijing, on the occasion of the official visit of Ms. Pascale Delcomminette, Director General of AWEX (Wallonia Export-Investment Agency) and WBI (Wallonie-Bruxelles International) in China, the EU SME Centre was invited to give a presentation on the overview of China’s business environment to the business delegation during a working lunch session. The delegation consists of officials from AWEX and representatives from 10 companies from Wallonia, Belgium. With the vast majority of the European market directly accessible within a radius of 500km, Wallonia is one of the three regions of federal Belgium at the heart of Europe. Due to its outstanding geographical location, its multiple competencies (multilingualism, multiculturalism, skilled workforce and etc.) and its internationally recognised infrastructure, Wallonia has become a first-class entry and exit point for the fast-growing flows between China and Europe, particularly for the cross-border E-commerce. Belgium Ambassador to China, Mr Marc Vinck was present at the working lunch session and gave the opening speech. The event was organised by Ms Emmanuelle Dienga, Economic, Commercial & Investment Counsellor at the Belgium Embassy and her team at AWEX China. Liam Jazcii, Business Development Officer at the EU SME Centre gave the presentation on behalf of the Centre, together with Rafael Jimenez, Business Advisor at the EU SME Centre.